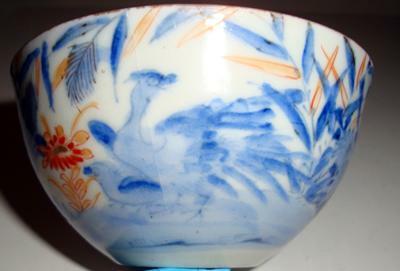 Comments for Antique Chinese Tea cup? 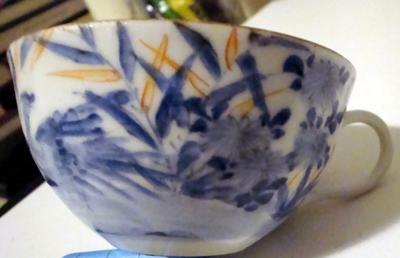 This is a Japanese cup. 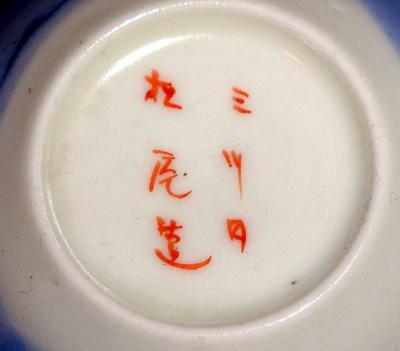 I am not sure whether the characters in the right column are a place (kiln) name or family name, as many Japanese names are used for both, place and family names. I don't think it has a high value as the painting and characters are made in a somewhat sloppy manner, but one never knows? You could try asianart.com. They may have some forum members specialized in Japanese arts, it seems.